File this one under the "Perfect Dissertation Desserts" heading. My current dissertation-writing diet consists of foods that take minimal amounts of time to prepare but are maximally flavorful--and healthy and seasonal enough to make me feel virtuous for actually not eating horribly while thesising! 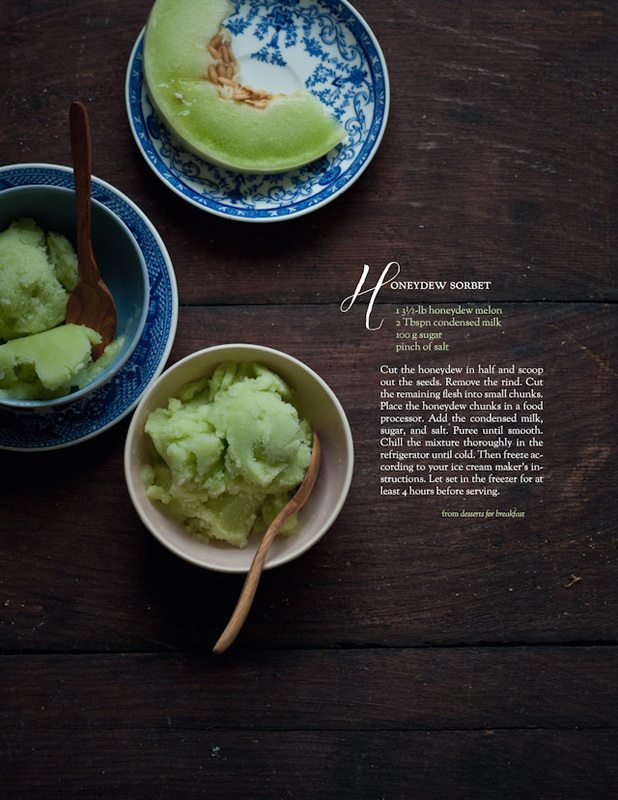 When I had my music trio over for rehearsal recently, I ended up serving the honeydew sorbet in a Taiwan-summertime-dessert-inspired trio with almond jelly and a Yakult granita (you know, because trios have to have dessert trios.... #metadessertcommentary), but the sorbet makes for a perfectly satisfying end to a quick summer dinner on its own, too. 1. Cut the honeydew in half and scoop out the seeds. Remove the rind and cut the remaining flesh into small chunks. 2. Place the honeydew chunks in a food processor. Add condensed milk, sugar, and salt. Puree until smooth. 3. Chill the honeydew mixture in the refrigerator until cold. Then freeze in your ice cream maker of choice, following the ice cream maker instructions. Let set in the freezer for at least 4 hours before serving. Tip: You can speed along the process if you chill the honeydew first in the refrigerator before cutting. 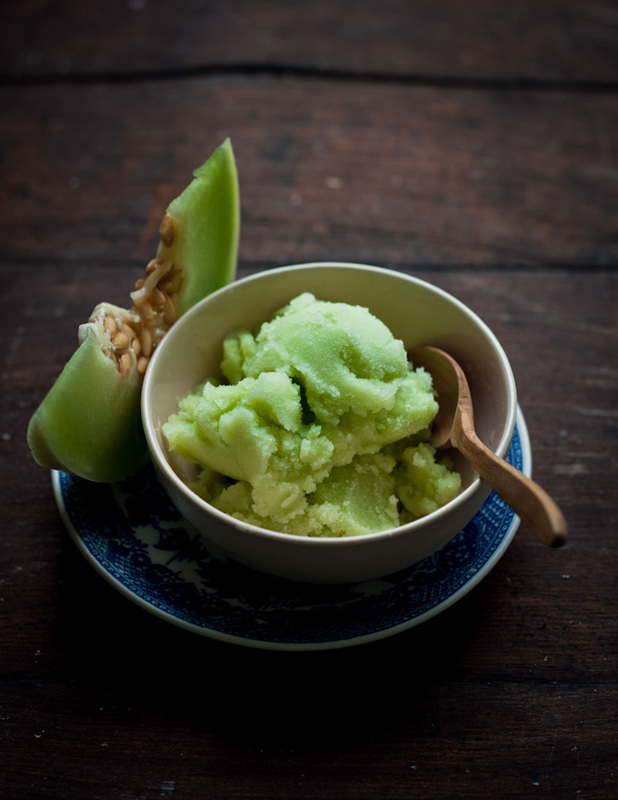 If the honeydew is cold, then you won't have to wait for the mixture to chill before using the ice cream maker. I would probably end up eating this for breakfast too....really scrumptious, thanks! 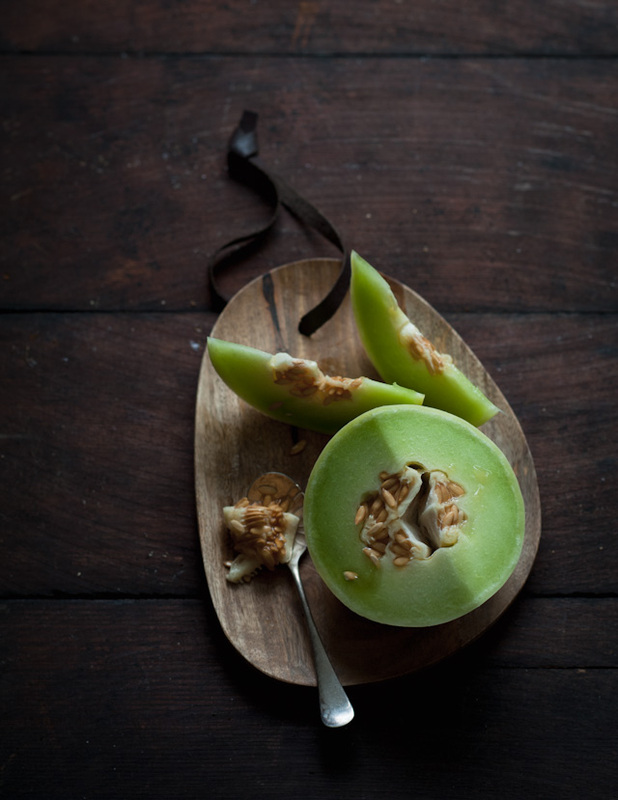 Lovely images, the green shade of honeydew is so sweet and pretty.